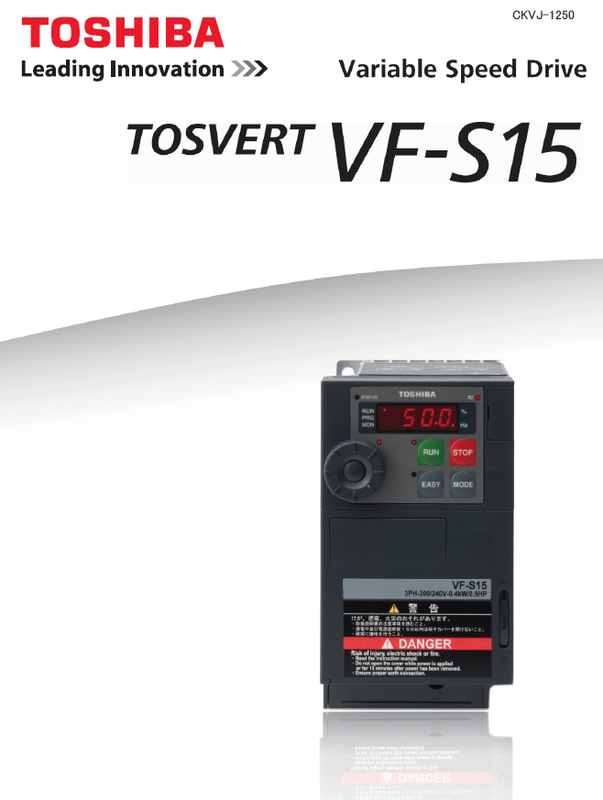 The new Toshiba VF-S15, standard general purpose drive, is designed for controlling wide range of variable torque and constant torque applications such as pumps, fans, lifts, conveyors, machine tool, food processor and mixers as well as for process control in various types of industries. 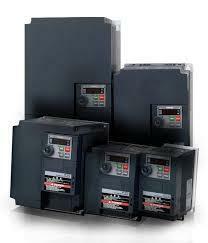 Also, PM motor drive for energy saving and a wide variety of communication options are available for all needs. Permanent magnetic motor(SPM, IPM) can be driven for energy saving purpose. The bottom wire protection cover can be removed by one push opener. I/O terminal dorr cover can be locked for safety. 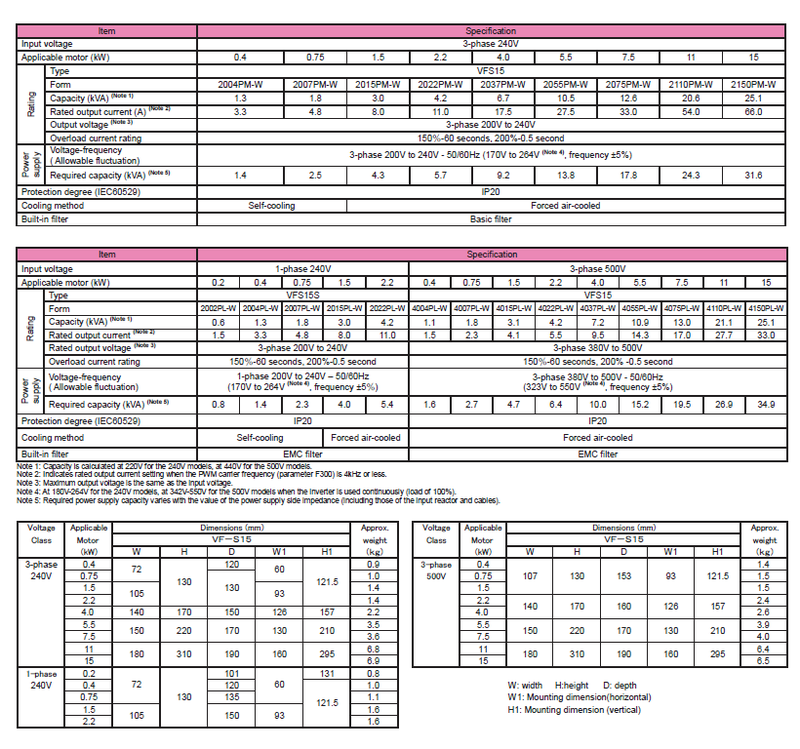 Easy to operate for parameter writing and monitoring with setup dial. 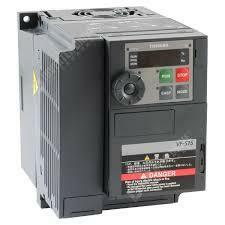 Both constant torque application and high current variable torque application can be operated. Up to 32 kinds of parameter can be stored for one group. 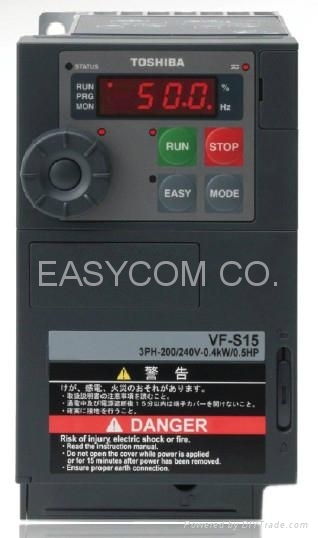 VF-S15 can be programmed parameters without power connection. 10 years life design by using long life capacitors. Vector control mode generate stable, high torque power from motor startup to a desired motor operating speed. CC-Link avairable with optional card.